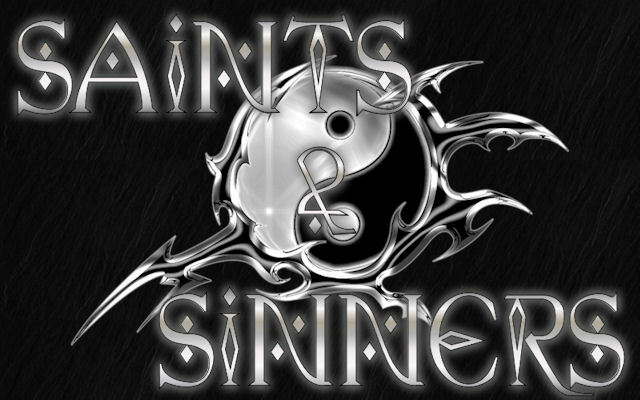 Saints and Sinners is an anthology novel for original fiction in a contemporary setting. All collaborative or solo stories with modern settings are welcome here in any sub-genre. If you have an idea or a solo endeavor please tap a MoB with your request. All are welcome here! The Universe, as everyone is aware, has rules. This promotes order where otherwise there would be chaos. Ask anyone from scholar to plebeian and all will agree with this statement. When these rules have been bent, broken, or don't seem to apply at all one is left struggling in a mire of mind boggling confusion and emotional turmoil so profound functionality is all but naught. This, my friend, is exactly where I find myself. I determined that I wanted to be open minded, free of constraint or inhibition, accepting, and without fear of new things. In that light, I poured over the memories of my moment with Cephus and Pyramus. I turned over every detail I could recall searching for how I felt, what affect it had had on me, and if I was truly angry about what had happened or how it had been achieved. For a synopsis of any story just click on the appropriate tile.